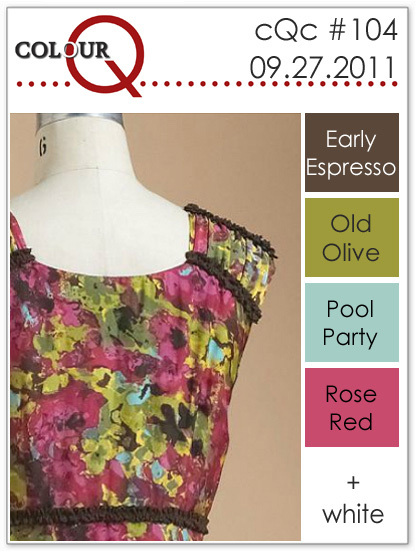 It's hard to believe but ColourQ is 2! How about that! 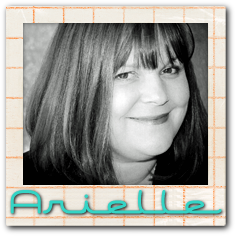 Arielle has been bringing us her fabulous colour combos for 2 whole years, that's 104 colour combos. WOW!! To celebrate, we are honouring past Colour Queens. We all chose a Colour Queen to CASE, while using this week's colours. 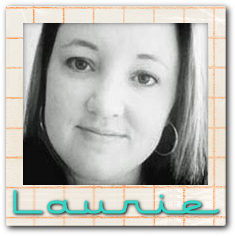 I chose Carrie Gaskin from the Artistic Avenger, who has won a couple of times! I chose to CASE her fabulous card from ColourQ #77. 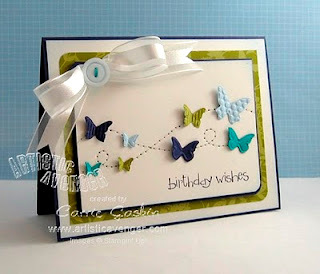 I loved the design, those fabulous textured butterflies, really what's not to love! Join us in celebrating, and get your craft on! 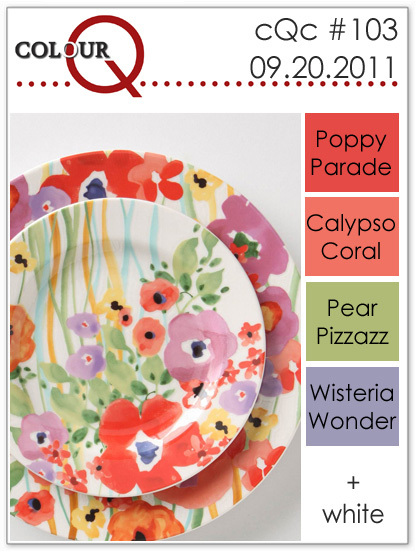 Head on over to the ColourQ blog and check out the wonderful stuff the entire Royal Court has created for your inspiration. Then link up your crafty creation. Thanks so much for stopping by, have a fabulous Tuesday!! Hey! How's everyone's weekend? Good I hope! 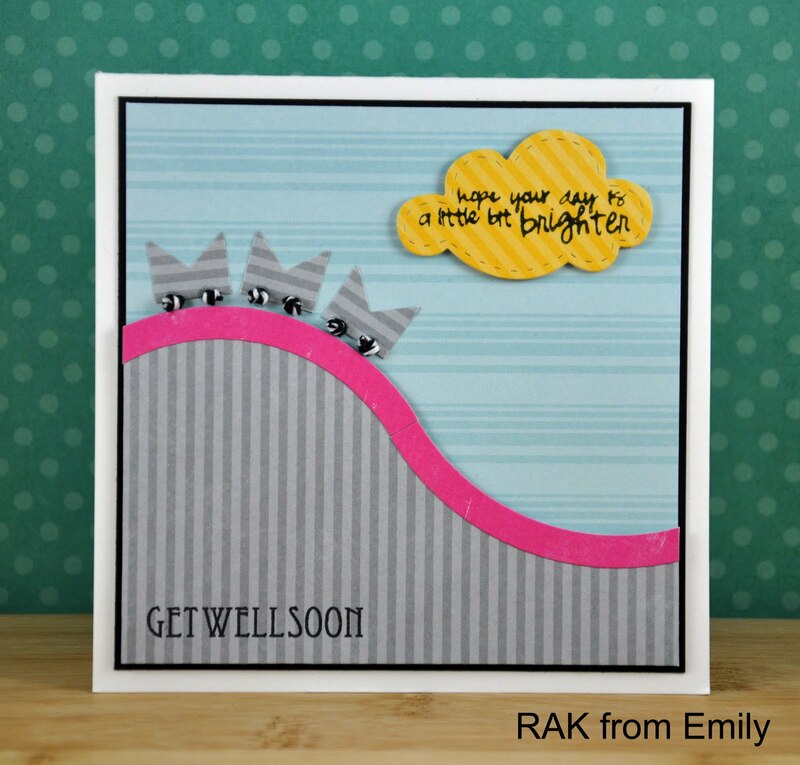 I am stopping in quickly to share a card I made for a girlfriend who just had her baby. 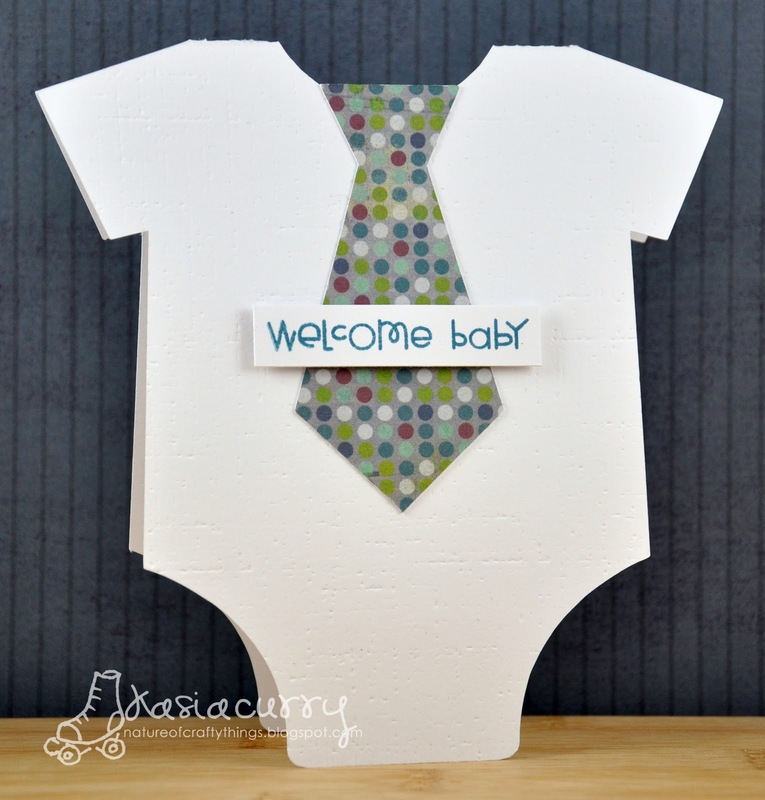 I have been seeing these adorable onesies all over with some fabulous appliques, and I though, hey this would work for a onsie card too right? I had a bit of trouble figuring out where to put the sentiment so over the tie it went. The paper is from a 6x6 Basic Grey pack, Oliver. Cute huh? I am loving these onesie cards. There are so many things you could "applique" on the front, the possibilities are endless. I think I might do a fuschia skull & cross bones for another friend!! Have you ever had an idea pop into your head and just HAD to create it? 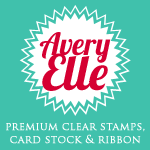 The stamps are Close to My Heart, paired with some black Twinery twine. Thanks for stopping by. I hope everyone has a fabulous weekend! P.S. anyone from Calgary going to the Scrapbook Carnival at the U of C this weekend? Just found out about it! Amber over at Damask Love hosts a fabulous reject blog hop, so I thought I would link up a couple of my latest rejects, from the most recent Papercrafts Magazine call. 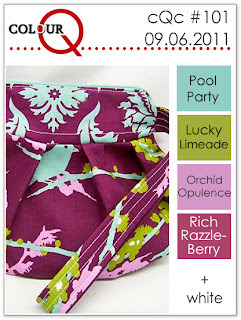 Head over and check out the blog hop and her other fabulous designs. I know I'm a tad late with this post, but better late than never right? For some reason I was really drawn to the text category! This first one came about because Polariods seem to be all the rage right now, or maybe were......and I was inspired by my friend Lindy who designs polaroid cards with her own photographs, find her at Crafted by Lindy on Etsy. I wanted to do something similar with my own photos but I wanted to do a mini picture with some text behind it? I actually LOVE how it turned out. My second card uses some masking and this Hero Arts stamp I am so in love with lately. Well that's my reject post, thanks for sharing it with me! 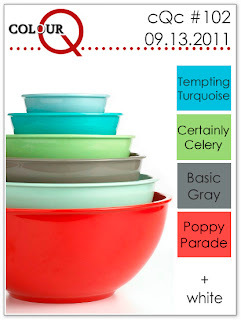 Time for another fabulous ColourQ colour challenge! I just love Tuesdays don't you? Well, maybe not if you are a Monday to Friday worker!! These colours are sure to brighten your day. 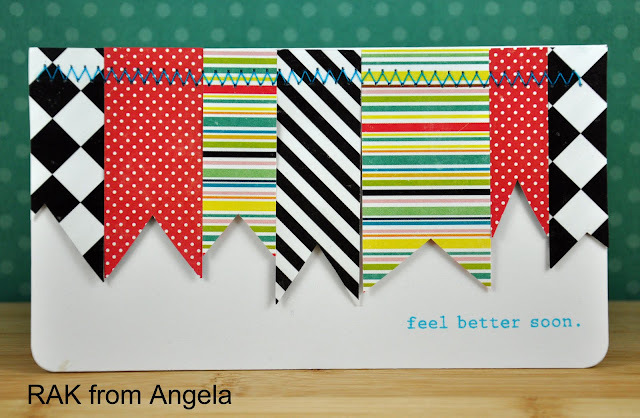 Well, I came up with a super duper simple card to share with you today. It was made using PTI's melon berry felt and limitless layers die. The butterfly is from their Happy Trails set. I had a bit of trouble figuring out how to add the green, but I think the little bit of green bling is just enough! Thanks so much for stopping by. Have a fabulous Tuesday!! I am﻿ so late getting this up! I am excited because I have been accepted on to a new DT! Bows & Berries is a digi stamp company designed by Robin. Check out her fab blog and digi stamp shop. 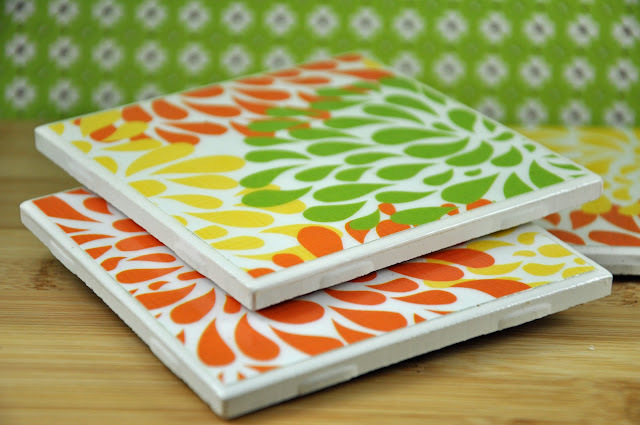 The challenges go up biweekly, this newest challenge is to use glitter on your project. 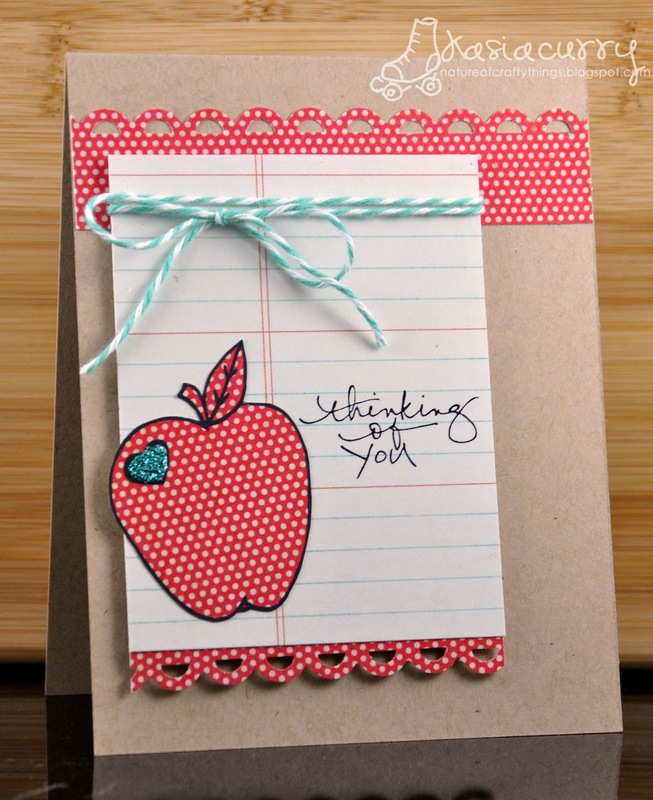 For my card I used her "apple love" stamp. I am also excited because we just got a laptop! This will make life soooo much easier. So our upper floor is going through a bit of an overhaul, again I will explain later but I am in the process of moving my craft room into a different room and not been feeling like going into it lately to craft! 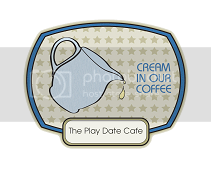 BUT.......I have been feeling the crafty DIY urge! I don't know if you remember but a while ago my hubby and I went shopping to spend the last of our gift cards from the wedding. Well one of the thigs we bought were these lamps, for $40 each at Home Sense. Now the lamp base is fabulous, but the shades were this horrible, icky metallic blue. I wanted to find new shades but couldn't find anything I really loved. Maybe I'm being too picky or maybe I just was really in the mood for a DIY! Sorry, I didn't take a before picture. I hated them so much i ripped them apart before I thought about it! I found some fabulous fabric at a warehouse fabric store in Calgary and spent about 1 1/2 hours working on this the other night. Please forgive the terrible picture, I took this at night! I am so proud of myself! Now I have to do the other one!! LOL! Isn't that base fabulous though? 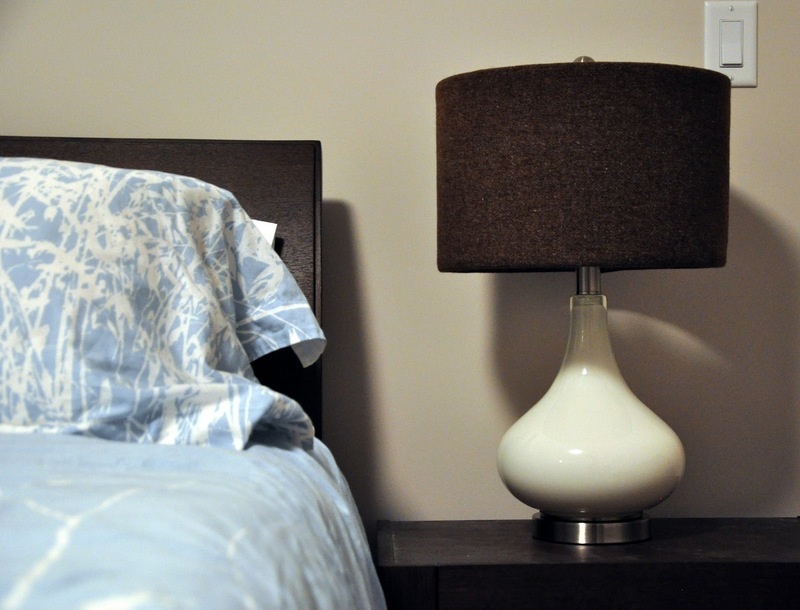 I couldn't resist those lamps. The other crafty thing I made recently is for my neighbour for her birthday. Unfortunately it was over a week ago & I haven't given them to her yet!! 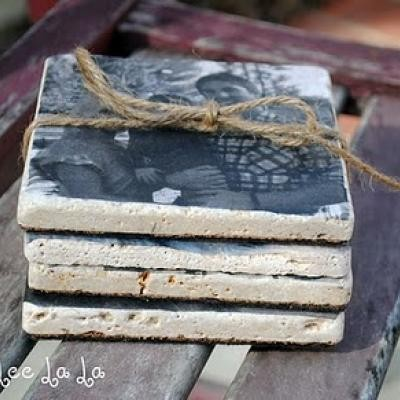 They are coasters made using 4 1/4" x 4 1/4" tiles and scrapbook paper. You can find the tutorial here on the cottage home. I think I have found a use for the thousands of 12x12 papers I have been hoarding for so long!! The tutorial can be found here at The Tip Junkie. 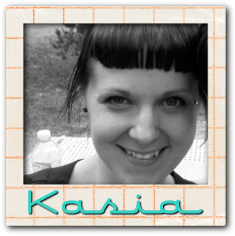 Which is a super cool crafty blog by the way! Anyway, that is some of what I have been up to lately. Happy Tuesday! It's time for another ColourQ challenge. This weeks colours are just so fresh and interesting together﻿. What do you think? Fun huh? I can only imagine the fantastic stuff that will come out of this week's challenge! I decided to have a little bit of fun and pull out a set from the most recent Paper Smooches release, "perpetual bliss". 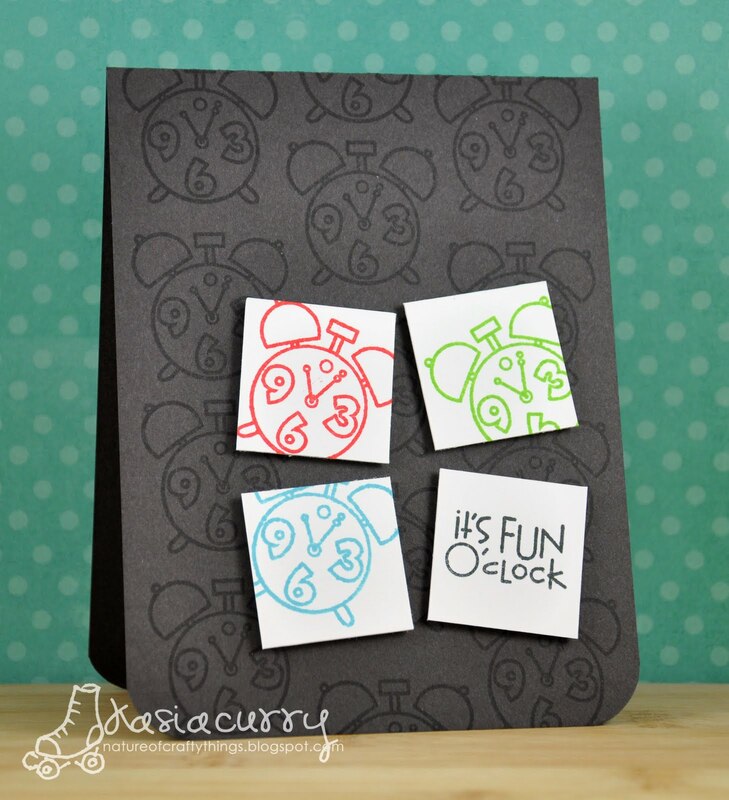 I versamark stamped the clock on the grey cardstock, then in the required colours on to some small 1 1/2" white squares. Take a few minutes, and head over to the ColourQ blog and enjoy what the Royal Court has created for your viewing pleasure, then go get crafty! I can't wait to see what you come up with. 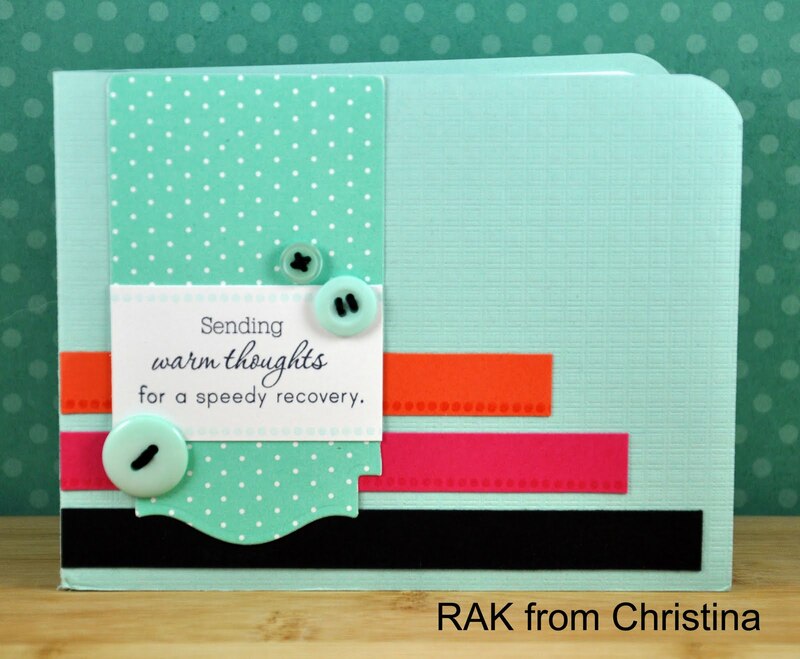 RAK from some fabulous ladies! I wanted to share some AMAZING cards I recieved in the mail from some super fabulous ladies. Check out this beauty by Emily from art from the heart. 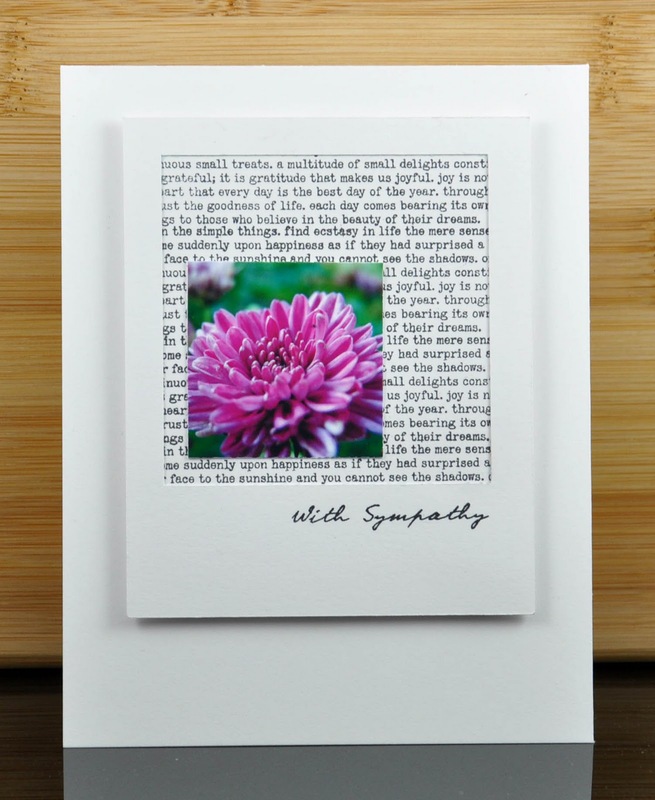 Next up is a gorgeous card I got from a fellow ColourQ Royal Court member, Christina from sea glass & sentiments. I love all of the texture and the fabulous colour combo! 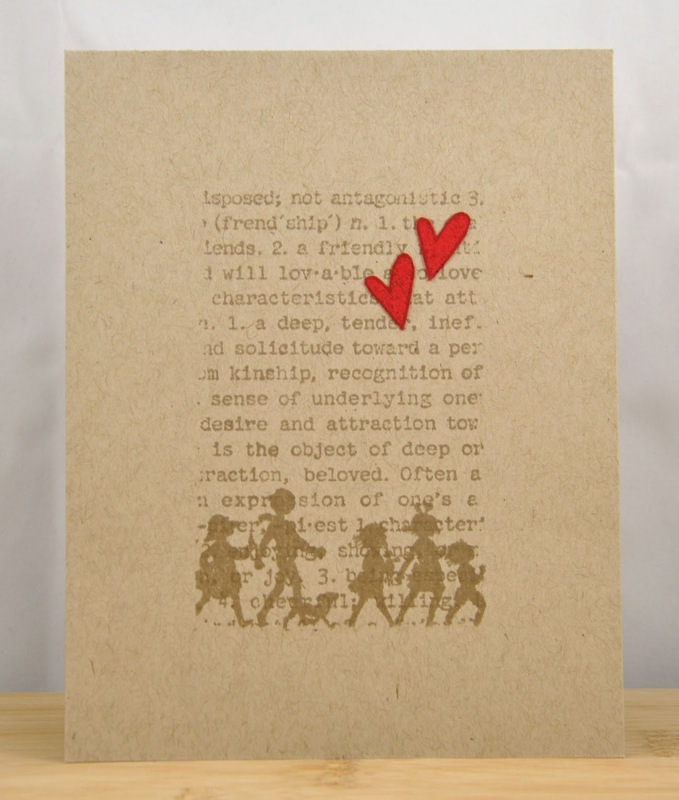 Thank you so very much ladies, I am honoured to have cards in my possession made by you!! just a quick note to let you know that I am out of my fiberglass cast and into an aircast. Which is the most wonderful thing, I can walk without crutches and carry stuff. Small things but a BIG difference!! Well wasn't last week exciting? It was so much fun to pair up our colour challenge with a sketch challenge. This week we are back to a colour challenge. And what fabulous colours they are! How yummy is that purse too? LOVE the fabric! 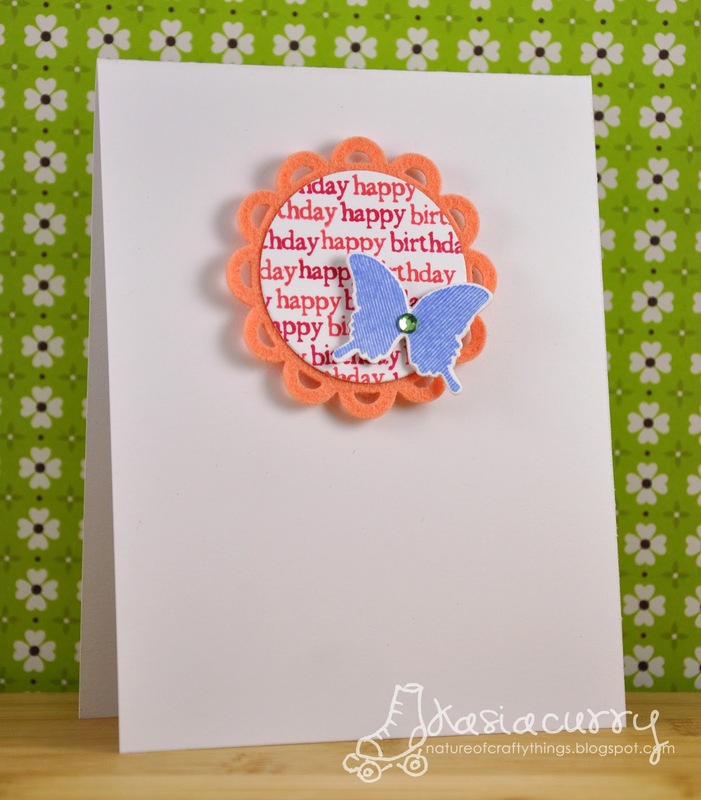 My card is uber simple using a stamp from the Paper Smooches﻿ September release. I know I say it all the time but this release is FABULOUS! I don't have the exact colours for this one so I decided to use my copics, and this is the closest I could come. 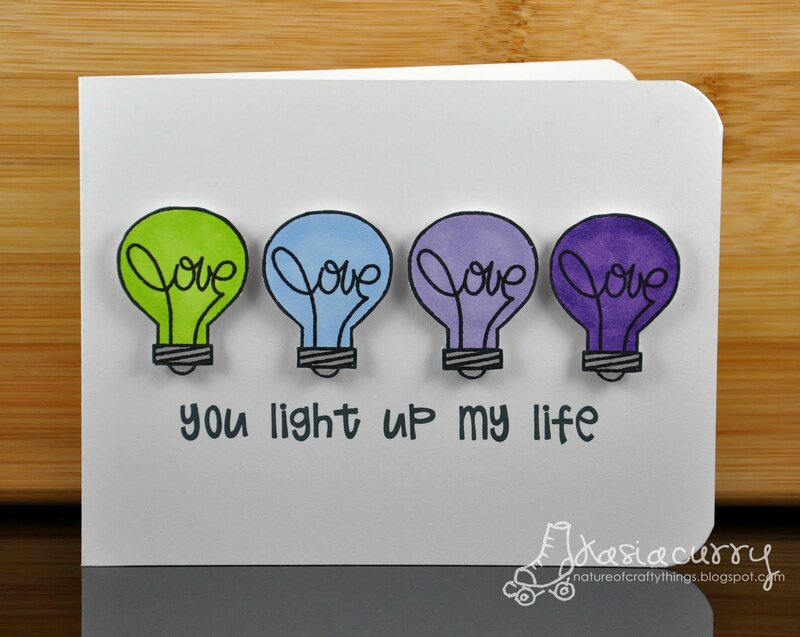 Love that lightbulb image! The sentiment was printed out from Photoshop (I'm sorry I can't remember the font name). 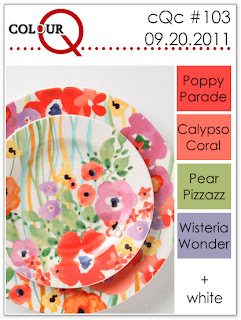 Head on over to the ColourQ blog to check out the Royal Court's fabulous samples and then get going on yours!! I can't wait to see what you all create! On a side note, I want to appologize for my absence lately. There has been some stuff going on around here that has kept me from crafting and severely limited the extensive blog surfing time I need to peruse all of your fabulous blogs! I will share when things settle down a bit. I will be back soon to share some amazing RAK's I was lucky enough to recieve from some pretty amazing ladies. P.S. I also just realized this is my 200th post! Yippee! !